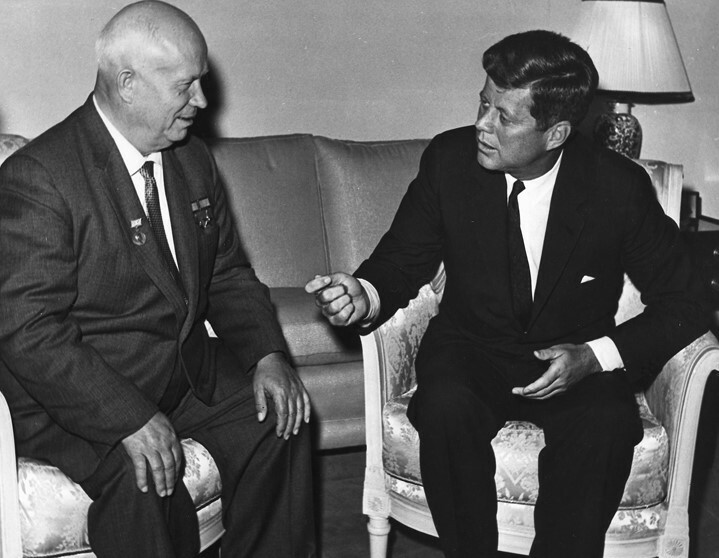 Some are old enough to remember it, some will have known it from history books or documentaries: a Vienna meeting between President John Kennedy and the first secretary of the Communist Party of the Soviet Union Nikita Khrushchev, both in the company of their wives Jacqueline and Nina Petrovna. Those photos were shown in magazines and brought to every TV viewer, also in the country of the workers and peasants liberated from capitalist exploitation. 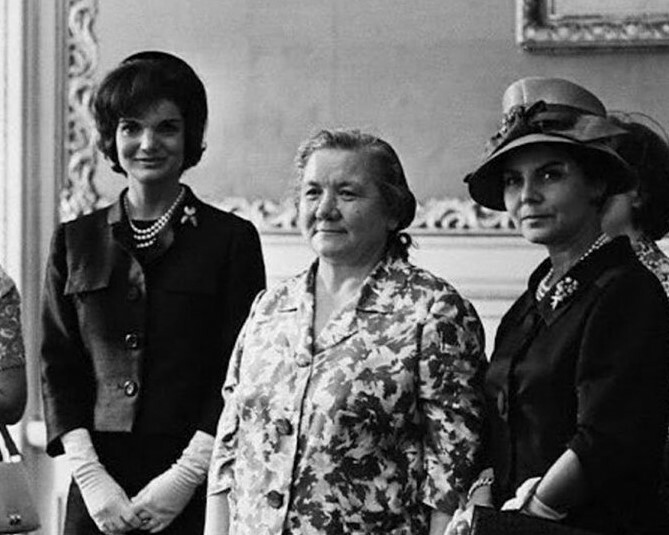 One can only imagine how embarrassed the Soviet viewers then and in the decades to come must have felt: the simple-minded Khrushchevs, the Brezhnevs and the Chernienkos displaced the well-mannered Romanovs, the Gorchakovs, the Sheremetevs. Never mind, the system made a statement for all to see. Look, here is the new normal. A descendant of worker class parents, initially a worker himself, leads a two hundred million strong union of nations, giving orders to scientists and scholars. The ideology triumphed. 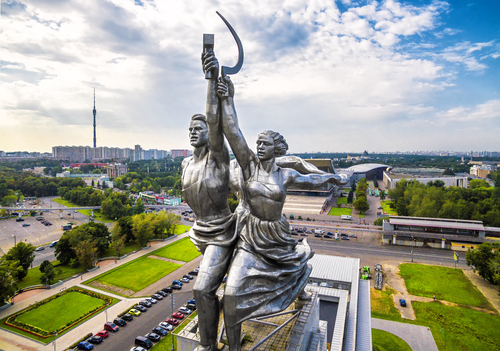 There they were, like Vera Mukhina’s impressive Worker and Kolkhoz Woman steel monument. With this difference, however, that the figures in the sculpture command respect due to the grace and beauty of their shapely bodies. The leftist ideas of elevating the lower social strata operated in the same manner in all countries which bowed to the precepts of Marxism, Leninism, Trotskyism or Maoism. A gamut of facial images of the political leaders from Poland, East Germany, Czechoslovakia, Hungary, Romania and Bulgaria speaks louder than volumes of scholarly investigation, especially when those faces are juxtaposed with the portraits of the leaders of Western countries. An unbridgeable gap yawns. These same leftist ideas have recently been coupled with a mission to socially elevate human races other than whites, especially in white countries, which is to be a step towards amending alleged past wrongs that the ancestors of those individuals suffered at the hands of the ancestors of the present day whites. People of sub-Saharan descent are put in positions of power in otherwise white nations. Some time ago Cécile Kyenge – herself an immigrant to Italy – was appointed Minister for Integration, Barack Hussein Obama – rumoured to have been born abroad – was elected President of the United States, and recently Sibeth Ndiaye – who was granted French citizenship merely three years earlier – was made the French government’s spokesperson. A statement has been made.